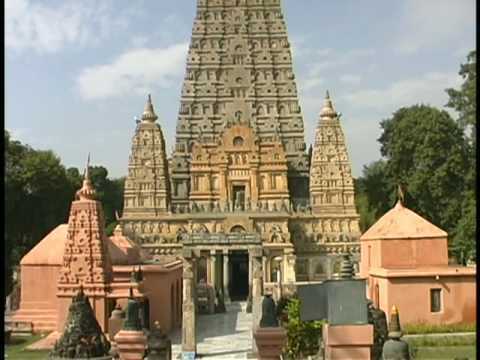 Bodh Gaya is a religious town in Bihar. 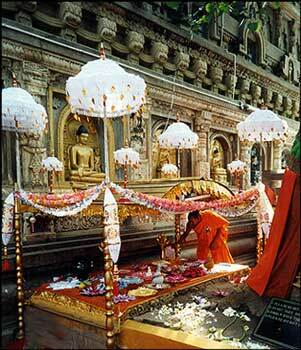 It is famous for being the place of Gautama Buddha's attainment of Enlightenment. It is believed that in 500 BC, Gautama Siddhartha wandered across to the Falgu River, near the city of Gaya. He sat in meditation under a bodhi tree for three days and three nights and subsequently attained enlightenment. Hence, the name Bodh Gaya. 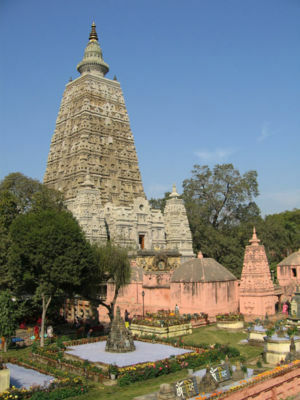 Bodh Gaya is home to several historical sites associated with the Buddha's life. Its temples and monasteries have inscribed accounts of the visits of pilgrims from Sri Lanka, Myanmar and China between 7th and 10th century AD. It also has pillars that commemorated sites visited by Buddha as well as the ruins of monasteries erected by the great King Ashoka. Today, Bodh Gaya has evolved into an international pilgrimage detsination. Buddhists from Sri Lanka, Thailand, Burma, Tibet, Bhutan and Japan have established monasteries and temples here. If you are planning to visit this vibrant town, do schedule your visit between the cooler months - December to March. The summer sun is scorching and temperatures routinely touch 40 degree Celsius. 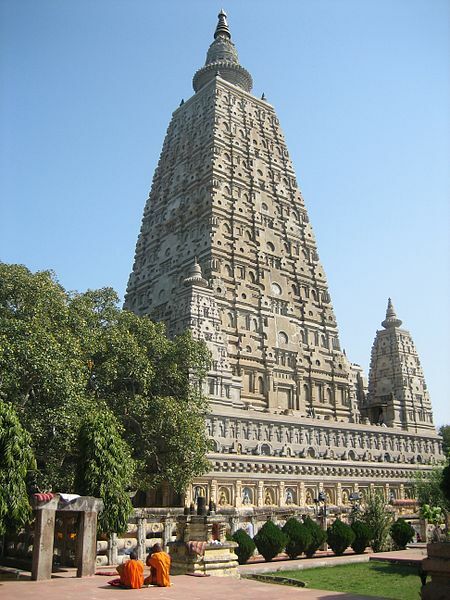 Mahabodhi Temple - The temple stands in the east to the Bodhi Tree. Its basement is 48 square feet and it rises in the form of a slender Pyramid till it reaches its neck, which is cylindrical in shape. The total height of the temple is 170 ft. and on the top of the temple are Chatras which symbolize sovereignty of religion. Four towers on its corners rise gracefully giving the holy structure a poise balance. This temple is a must-see for pilgrims and tourists alike. Bodhi Tree - The present tree is the fifth in succession to the original tree under which the Buddha attained enlightenment. It has the Vajrasana or the seat of stability - the stone platform on which the Buddha sat in meditation gazing east. 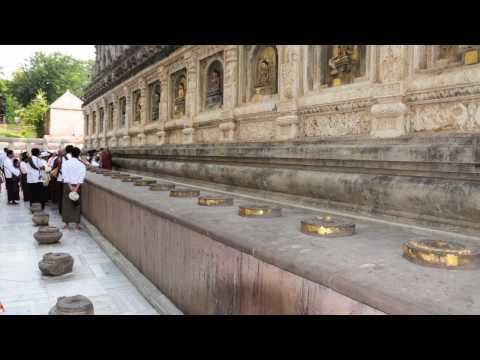 Chankramana - This is one of the sacred spots Buddha's visited after attaining enlightenment. It is believed that a lotus sprang up wherever the Buddha put his feet. Animesh Lochan Chaitya: Buddha spent one week here looking towards the great Bodhi tree, without twinkling his eyes.